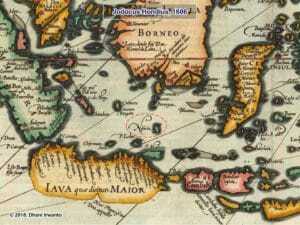 Home » ATLANTIS » Dhani Irwanto: Nusasura: The Atlantis Island? 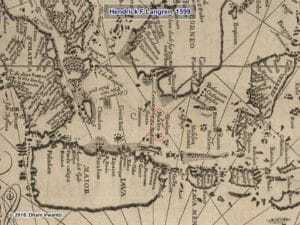 Nusasura: The island of Atlantis? Dhani Irwanto: Nusasura: The Atlantis Island? 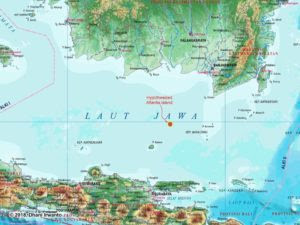 Nusasura: The island of Atlantis? 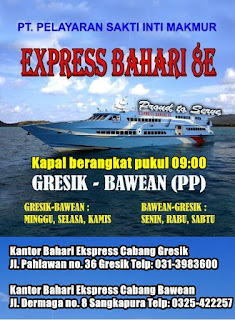 In 2017, I visited an island in the middle of the Java Sea, namely the Bawean Island, to deliver a presentation about the island’s connection with Atlantis. I spent a few days there, wandering around the tiny island to observe and talk to every resident I met. There is an interesting thing that I got when talking with them. 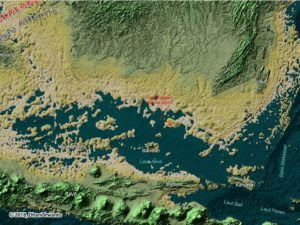 Some people told a legend about the existence of a mysterious island located on the north of the island, in the middle of the Java Sea, which is now drowned. They are also told about the frequent occurrence of fishing boats or boats that ran around the mysterious island. 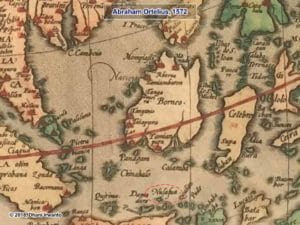 After returning from the island, I thought about the opening of the old map, composed by geographers from the sixteenth and seventeenth centuries. 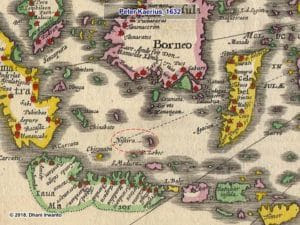 After I observed, many maps show the existence of an island located in the northeast of the Bawean Island, with various names such as Nusasua, Nisasira, Nusasira and Nisaira (see attached maps). 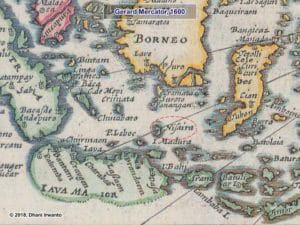 Then I translated the names into Nusasura, which means “the shark islands” in the Austronesian language group. 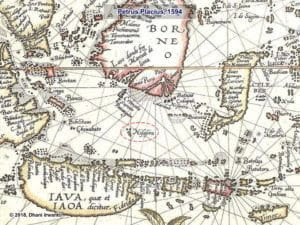 Is Nusasura the Island of Atlantis? Furthermore, I also observed the ancient records contained in Egypt. From here I get a word that sounds like Nusasura, Neserser. In the mythology of the Ancient Egyptians, the island and the lake of Neserser, “the island and the lake of flames” (in the volcanic region) where Osiris and Thoth came from, is often mentioned in their myths. As described in the “Papyrus of Nu” (in the “Book of the Dead”), the myth says that Osiris has his throne on the island of Neserser in the center of six or seven concentric circles with a gate at each and they are all in the “lake” of Neserser. The concentric circles were built for Ra by the dwellers of the lake.Thoth had her lands around the lake and she visited Osiris on the island. There was a great flood in the lake of Neserser and somehow these circles of Ra became hidden. As written in many tomb texts from the Middle Kingdom and the Second Intermediate Periods in the Ancient Egypt, in the concepts of the divinities and the deceased, the Neserser island is a heaven-like place, a place where judgment is passed and the deceased is reborn with a status (god or common being). The Hetep-fields is the kind of paradise under the supervision of the god Hetep with whom the deceased identifies himself, and where he leads the happy life for the privileged. In the concept, Osiris, Horus and Thoth were given the status of gods or ancestral divinities. 1. Six or seven concentric circles were built for the sake of the island of Neserser, conforming to the Atlantis’ four circles of lands (including the central land) and three circles of water, built by the god Poseidon. 2. Either Osiris or Atlas have their thrones on the central lands. 3. The lake of Neserser is conforming to the sea. Plato describes the sea as water with a mouth to the outer sea, thus arbitrarily can be called a lake. As described above, I made a hypothesis in 2015 that the sea is the ancient Java Sea where it had only one outlet. 4. There was a great flood in the lake of Neserser which devastated the island of Neserser, and then it was hidden. This is also in compliance with the descriptions of the destruction of Atlantis. A sound-like word of Nusasura is also found on the Mesopotamian clay tablets, Nisir, the name of a sea where Gilgamesh sets out on a series of journeys to search for his ancestor. In 2016, I made a hypothesis that the “Epic of Gilgamesh” fit the conditions in Indonesia, from the descriptions such as the full of noisy birds and cicadas, and monkeys scream and yell in the trees.